There is a cute Stokke orange chair sitting in Max's room. We needed something to put Ben in while we give Max a shower, and we park it outside the bathroom door. Ben's room is pretty small, Max's is large, so we store the chair there. It's been sitting in Max's room for a couple of months now. He hasn't said a word, and I've wondered why. Mostly, I don't realize that Max hasn't been doing something until he does it for the first time, as happened recently when he tended to a scrape on his own. But there is one thing I've long wondered about, and that is why he doesn't pay attention to the contents of his room. This goes beyond whether it's neat or messy; he just doesn't seem to notice the objects in it. To be sure, over the years he's had firm opinions about decorating it. During his purple phase, I painted one wall a glossy purple. (It's still there because I haven't yet given in to repainting it red.) At his request, I've hung up assorted fire truck photos on his wall and door. For his birthday, he specifically requested an overpriced Pottery Barn Kids fire truck lamp and I dutifully obliged. But other than that, Max just doesn't seem to care about what's in his room. He's never mentioned the trinkets and photos that line the shelves of his dresser. He's never browsed the books in the bookshelf. 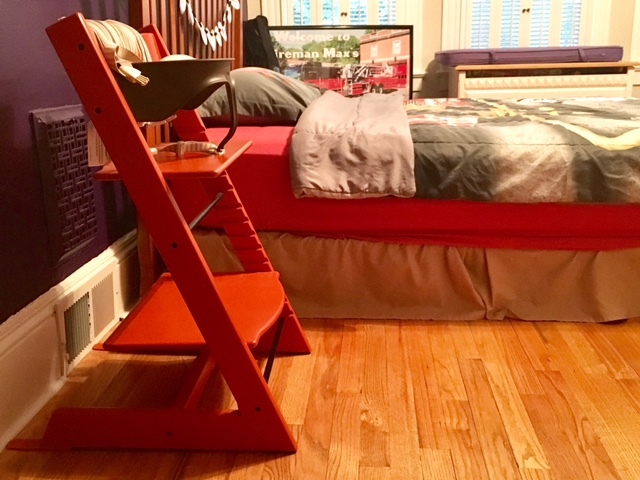 He doesn't mind the old stepstool with primary- color letters that spell out M A X sitting in a corner, the large chest that used to be for toys but now holds linens and out-of-season clothes or the diaper storage area in his closet because Ben's room lacks the space. So then I started to wonder about leaving that chair sitting in Max's room. Even if he doesn't care about it, is it wrong to take advantage of that? I just don't know. It doesn't bother me, per se, that Max doesn't care about his room. This has to do with my curiosity about his cognition. I am sometimes guilty of thinking Max does the things he does because of his special needs. But who knows, maybe he'd be this way whether or not he had intellectual disability. Or maybe this, too, will develop. As of not long ago, Max never noticed what clothes he had on and now he has definite preferences. He particularly loves wearing checked Oxfords, just like Daddy. But that orange chair sitting in his room that he doesn't ask about: I wonder. "iPad!" Max says to me. We're walking out the door as the school bus waits outside, and he is reminding me that his iPad is not in his backpack. "Thanks, Max!" I say, and dash off to get it as he giggles. My friends and I joke about the phenomenon. 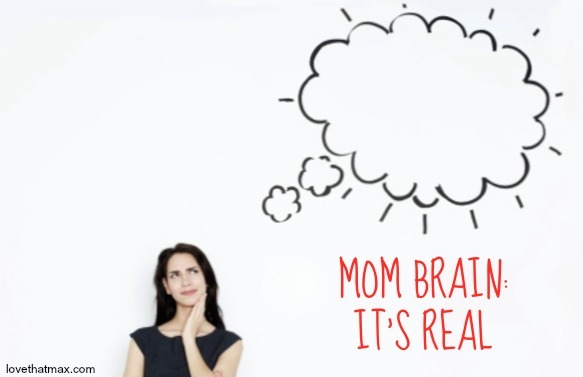 "Mom brain: it's real!" might well be the tagline for mothers everywhere. (Well, right behind: "Please stop whining.") It's one thing, though, to be forgetful about things you need to do for yourself; it's another when your children call you on stuff you were supposed to do for them. Which I guess was inevitable, given that I typically do All of the Things for them. "Mommy! Did you RSVP to the tryouts yet?" (Nope). For the record, I have never forgotten anything major, like a birthday or bedtime. Also, if you are a current or prospective employer, rest assured that I never ever ever forget a single thing at work, least of all, lunchtime, which I start thinking about daily at 8:45 a.m.
Max typically laughs at my forgetfulness; he finds it amusing. Sabrina either rolls her eyes or says "You always forget!" which technically isn't true, given that I did remember to give birth to her. Two weeks early, in fact. Dave doesn't seem to notice, given that he has Dad Brain caused in large part by waking up with Ben at 6:00 a.m. daily. Oh, and Ben never calls me on anything that I forget, which is lovely, although granted he is only 18 months old and I regularly and fully meet all of his daily demands, which boil down to: meals, Cheerios, soy milk, diaper changes, toy trucks, letting him repeatedly open and close the bread drawer and speaking in funny voices. So there's that. But then, I'm grateful that Max has reached a level of cognition where he notices my lack of cognition. (I think?) And I'm glad that he and Sabrina are staying on top of stuff they have to do, or rather, staying on stop of stuff I have to do for them. All this is to say: Wait, I know I'm forgetting something. 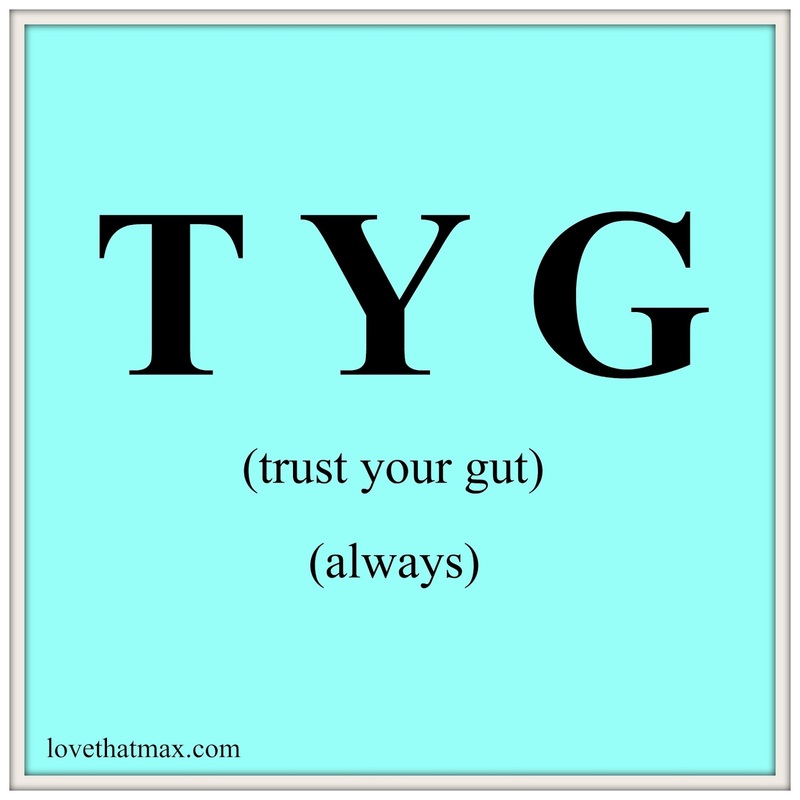 Yes, you knew it: Trust your gut is the best parenting advice out there. Even if you didn't know this before you had kids, you fully realize it once you become a parent. Perhaps it was that gut feeling that lead you to your child's diagnosis because you thought something wasn't quite right. That wasn't us; we knew something was up with Max the day after he was born. 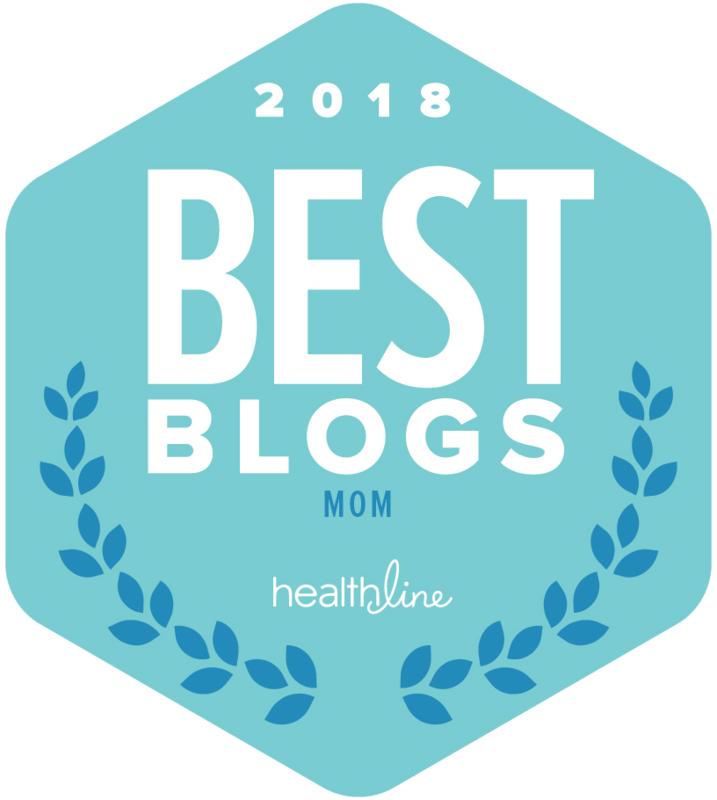 But through the years, my parent gut has come in handy for him and all the kids: For knowing when they aren't feeling well, knowing when they're upset, knowing when they may are hiding something. The times my gut does not come in handy are for predicting puke and Max's seizures, both of which I have never seen coming. 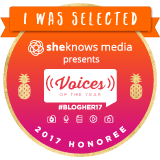 Recently, I did something I've never done before: I tried to deny a gut feeling. Ben's words have been coming in slowly. Boys are typically behind girls in speech development, about a month or two, from what I've read. At 18 months old, though, having several dozen words is typical. Ben has less than 10. Also: He calls me Daddy. That, I mostly find amusing. Mostly. Dave, typically the more neurotic parent of the two of us, wasn't extremely concerned. He thought we should wait till the baby's 18-month-old checkup at the pediatrician. A couple of weeks passed. Ben didn't seem to be gaining any new words. Because I've been through so much anxiety during Max's early years, I wondered if I was overreacting. Because "Kids develop on their own timeline" are words I have said again and again. 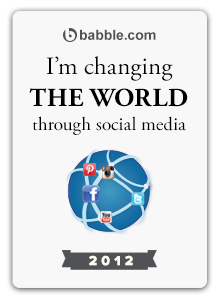 Because didn't I know better than to Google obsessively? 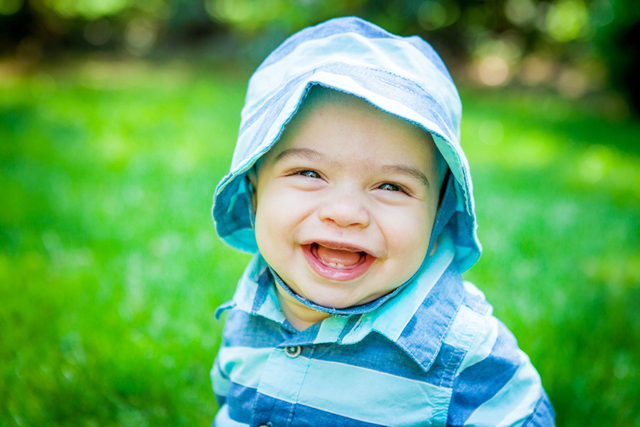 Because part of me was not ready to face my little guy having a developmental delay. I knew all that. I was aware of that. But my gut would not shut up. 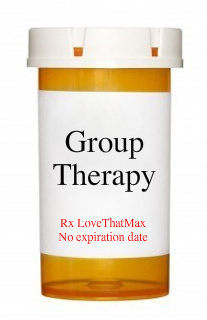 I finally spoke with Max's speech therapist. She agreed that Ben should have more words, and pointed out that he'd also been a bit slow to finger feed so maybe he had some motor planning issues. She recommended that, for one, we immediately cut out his bottles, as that sucking motion isn't beneficial for speech development, and switch solely to a cup. I did. One of the hardest calls I've had to make in a while was dialing Early Intervention. I left a message. Surprisingly, I got a call back in two days. Even more surprisingly, the evaluators were able to to see Ben the following week. I did not tell Dave I was calling EI, or about the evaluation. I decided to wait and see what happened. They showed up on time on a rainy afternoon, one lovely occupational therapist and one lovely speech pathologist. The OT kept putting toys in front of Ben—a ring stacker, a shape puzzle—as the SP asked questions about his development. Ben performed admirably. That took about 40 minutes or so. Then they sat there for a while, typing notes into their computers and talking amongst themselves. And then, they showed me the spectrum of typical on paper. Ben was overall in the average range. Although he displayed a great range of babbling sounds, and was communicative, he was in the below-average range for speech. He was, indeed, speech delayed—but because of his general score, he did not qualify for Early Intervention. I could call again in three months, on the dot, and request another evaluation if he hadn't progressed much. His hearing has seemingly been fine, but we might need to get it tested. In the end, I felt kind of calm about the results. Yes, he was delayed. But now I knew for sure, and we could do something about it. I told Dave. He didn't seem overly concerned. We're going to see what the pediatrician has to say at Ben's visit next week. This is a very wise, non-alarmist doctor who has seen a whole lot of children in his decades of practicing, and we value his opinion. But in all probability, I'll soon be asking if Max's longtime speech therapist can start seeing Ben. So like I was saying: Trust. Your. Gut. Experts recommend conversing with your children in the car, when they're at ease (minimal eye contact!) and likely to open up to you. This is a good tactic with Sabrina, once I make her put away her phone. It is wondrous to do with Max, because we are now capable of conversing. "Don't you love living here?" I ask as we drive around our neighborhood. It's beautiful this time of year, particularly the cherry blossoms in various shades of pink. Max would like to move to Florida, he's been telling us. "Ah, yes," I say "You would like to move to Florida." We are not alone in the car. The ghost of Max's past is right there in the backseat. When Max was a tot, it pained me not to hear babbling in the back seat. I remain grateful for our chats on the road. "Max, would you like to live there alone when you grow up or with someone else?" I ask. "Like a friend?" I ask. "Although you also want to get married, right?" I note. "Yes!" He names a girl in his class he has a crush on. "OK, but maybe it's too soon to know if she will want to marry you, so maybe there will be another nice girl," I say. "Who will help you if Mommy and Daddy aren't there to help you?" I ask. We're at a stoplight. I watch his face. "I don't know," he says, and my heart twinges. Because he is a teen, he wants to be independent and he is becoming increasingly aware of what's holding him back. "Max, if you want to live on your own, you need to learn how to do things on your own, like take a shower and use the bathroom," I say. I know Dave and I need to keep encouraging and enabling him. It's all too easy to do things for Max, especially when he resists doing them himself because it's hard. Still, he's becoming more self-motivated. "Will you miss us when you move to Florida?" I ask. And I kind of love that he's all ready to move away. He is unable to use an external mouse due to difficulties dissociating finger movements due to abnormal tone. The sentence was in the "technological literacy" part of the Present Levels of Academic Achievement and Functional Performance (PLAAFP), the first written statement in an Individualized Education Plan (IEP). While it's true that Max would have challenges using a computer mouse due to dexterity issues, he doesn't use a mouse—and I didn't get why it was being mentioned at all. True, it was 11:20 at night and I was tired. I'd only received the PLAAFP yesterday morning for today's IEP (#fail) while I was working and I'd spent hours after the kids went to sleep reading through the write-ups, looking at the goals and comparing them to last year's. I had many issues with the document, including the lack of constructive comments and the numerous problems raised that had never been mentioned. But this sentence in particular got to me. For years now, Max has been using an iPad. He is very adept with it. In fact, Max learned to isolate his pointer finger after the iPad came out because he was so motivated by it (here he is back in June 2010, when he first trialed it). There is a whole world out there of adaptive technology. Why point out what Max can't use? It's Max who's steered my focus to the can-dos. Ever since he was a little guy, he's never dwelled on his disabilities. He has tried his best, made do, found another way, used an adaptive device or sweet-talked someone into doing it for him. At times, he gets frustrated when someone doesn't understand what he is saying and he won't use his speech app. But mostly, he just does his thing. When he's biking on his adaptive trike, he's loving that and not pining after the scooters and skateboards other teen boys use. When we eat out, he's not annoyed that he can't cut up and eat a steak; he's digging into his mac 'n cheese. When we're at the pool, he leans over, puts his face in the water and cruises around that way. He doesn't care that he can't swim; he's enjoying the pool in his own way. This is not, of course, a collective observation about people with disabilities. This is about Max, his temperament and his level of awareness. He's content with who he is. He's raised me, as his parent, to feel the same about him to the point where I don't realize what he hasn't been doing until he does it (like last week, when he tended to his own scraped finger). He is about the cans, not the can'ts. We could all take a lesson from Max. To hell with you, computer mouse. Good luck to me at the IEP! If you smell something, it's our house. It reeks of puke. Poor Max got some sort of bug last night, perhaps that nasty rotovirus that's been making the rounds. Vomit is one of those unique forms of parent-child torture. Your child is miserable. You're miserable for your child. You're miserable about having to mop up all the puke and keep tossing in loads of laundry. This time around, though, brought a new level of puke horror. Max vomited right before our appointment with an endocrinologist. For the last couple of years, the pediatrician has been concerned that Max isn't growing as fast as he should be, and we've been taking him to the specialist for annual check-ups. I was actually excited to see her—yes, excited, because I knew Max had gained a whole lot of weight and a few inches. After dinner, Max sat on the couch, groaning that he'd eaten too much for dinner. That seemed strange, since this boy can put away copious amounts of food. I told him to go hang out in the bathroom. So he was already in there when he puked. Max felt better afterward, and I thought maybe he really had stuffed himself too much. So off to the pediatric endocrinologist we went. Max was chatty en route. When we got there, he slumped in his seat in the waiting room. Suddenly, he leapt up and made a beeline for the bathroom except he didn't make it and barfed on the carpet twice. Then he barfed some more in the bathroom and slipped. I should have left then, except I figured it might be a good idea for a doctor to check him out. But karma was not with us. The nurse's thermometer didn't work. Then the blood pressure machine was acting up. I told her to skip it and ask the doctor to come in asap, as we needed to get home. Although the pediatric endocrinologist didn't have any insights into his stomach situation, she was thrilled with the weight he'd put on: a whopping 32 pounds. But she noted that he hadn't inched up as much as she would have liked to see. Before we could discuss it, Max heaved again. I left and drove him home, stat. He was so miserable he didn't even want to pass by the fire station. After Max went to sleep, I cleaned the bathroom, wondering all the while how puke had gotten into so many crevices. Then I heard coughing; Max had woken up and vomited. I changed all the bedding. He went back to sleep, woke up and puked a little more. I stroked his head, held a cup of water to his lips and tried to cheer him up. In the last week, Max has inexplicably decided that he would like to visit Las Vegas for his next birthday. "Do you still want to go to Las Vegas for your birthday?" I asked. And then: "Two weeks!" As in, he'd like to go for two weeks. I was glad to see a spark of the usual Max. I fell asleep next to him, just another night in the trenches of parenthood. Max sat on his bed watching me hold up various shirts to his back and listening to my steady stream of commentary. "Does this still fit you? No? Whoa. I can't believe it," I kept saying. "Benjamin!" Max would respond, and then I'd toss the shirt into a bin to keep for Ben. I sounded peppy but really, I was sad. 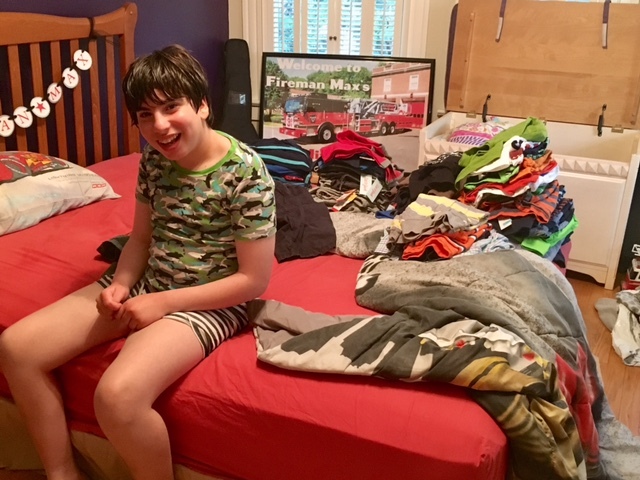 Putting away clothing that's gotten too big on the kids isn't just a giant chore I deal with every spring and fall—it's a one-way ticket to sentimentalville. "This wouldn't be a problem if we moved to California," Dave noted the other day as I stood knee-deep in a pile of Ben winter clothes that I was switching out for warm weather ones. Dave fantasizes about living there, but as someone born and bred in New York, it would be hard for me to leave. San Francisco tempts me, but not having to deal with the biannual switching-of-the-clothes ritual isn't quite enough motivation. Besides, ever since Ben was born I've just smushed my favorite clothing for all seasons into my closet. Occasionally looking a bit wrinkled is a small price to pay for not having haul my wardrobe up and down from the attic. Sabrina handled sorting through her own clothes, after I bugged her to do it eleventy billion times. Max and I always do it together. He's had a growth spurt in recent months, and stuff that fit him for two summers in a row is tight now, including shirts that were swimming on him when I first bought them. 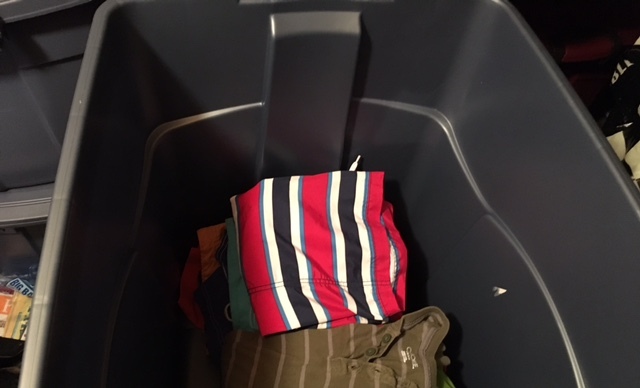 I don't have many clothes left over from Max's babyhood because he was a messy eater and everything got irreparably stained, so Ben got a lot of new stuff. Last year's summer getups made me giddy, especially the rompers. Like this one with a matching hat. I've been happy to find out that they still make rompers in size 24 months; giving away the one's he's outgrown was hard on my heart. I saved a few favorites. Over the last year, I've been trading messages on Facebook with a cool woman I know through work about not wanting our tots to grow out of babyhood. "Still a baby!" Jenny would note when I'd post photos of Ben. He is now undeniably a toddler. "Baby4eva!" she recently reassured me. Yes, our children will always be our babies. Yes, it's wonderful to see them maturing. But all the clothing that they can no longer get into is undeniable proof that their lives are zooming by. ...it's been three years since he got these swim trunks? Women love certain pieces of clothing because it makes us feel confident, powerful and pretty. As a mom, I adore certain pieces of my children's clothing because I associate them with their cuteness, personality and charm, along with occasions in their lives. That's the hoodie Max wore during his first Special Olympics. Here's the overpriced blouse that Sabrina begged me to buy that she wore on the first day of school last year. Those are the overalls Ben wore on the cruise last December. Life can be so consuming when your children are little, especially when you have a child with major developmental delays. "The days are long, but the years are fast," Gretchen Rubin wrote in The Happiness Project, one of my favorite quotes ever. I'm reminded of that every single spring and fall as I pore over their wardrobes. 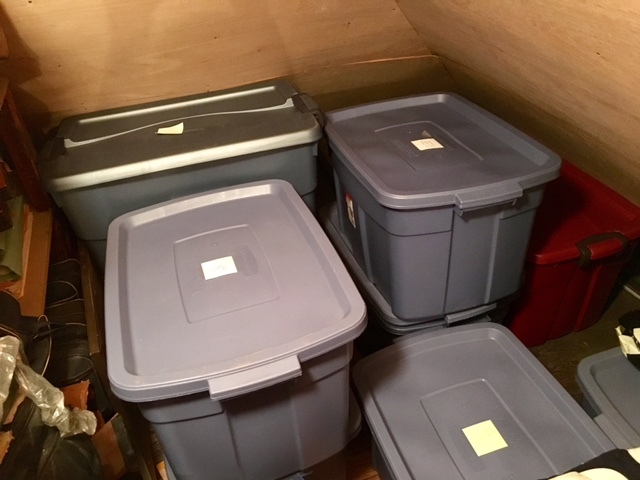 When I stored Max's clothes in the attic, I had a freaky thought. By the time Ben is able to fit into size 12 to 14, Max is going to be about 24 years old. I couldn't handle that. So I shut off the light in the attic, closed the door and walked back down to Max's bedroom, where he sat waiting for me to read a book with him. At times, it's easy to feel the world is not on your side when you have a child with special needs. People may glare during meltdowns or just gape, period. Programs may turn your child away. But there are times when total strangers cheer your child on, restoring your faith in humanity. That happened this weekend. 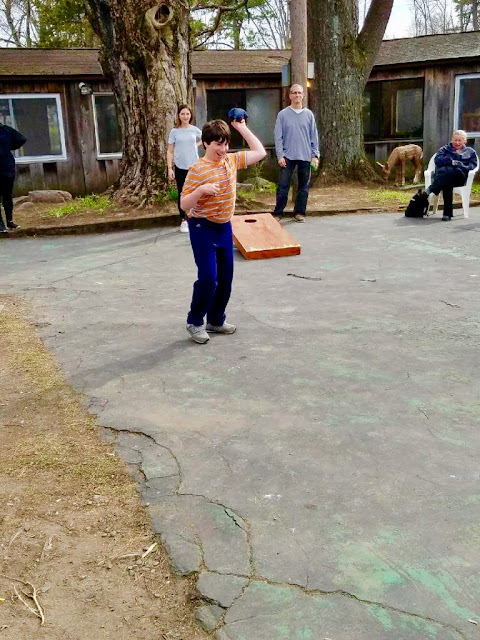 We were at the Pinegrove Family Dude Ranch in Kerhonkson, New York. (Shout out to Meredith, a reader I bumped into.) 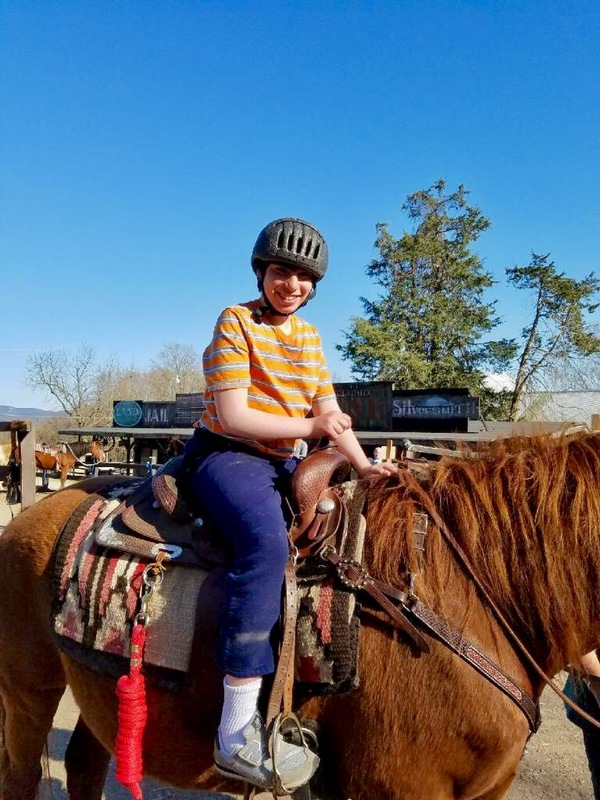 Max was really excited to go horseback riding, and Sue at the stables was wonderful with him. He looked like a boss up there. 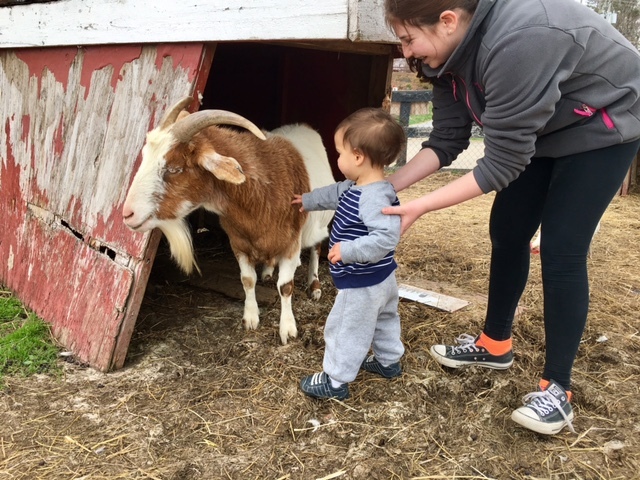 We played bingo and bocce, went on a tractor ride, saw a couple of shows, toasted marshmallows over a campfire. One of Max's favorite activities: eating ice-cream (it's free all day long). I had no idea of the wonders that lay in store at the bean-bag toss. After roaming around the playground, Ben and I set off to find Max and Dave. He'd sent me some photos of Max tossing bean bags, and I wanted to see for myself. I heard cheering as I approached. It was for Max, who wasn't just tossing—he was lobbing, with impressive aim. The other players got props, too, but the ones for Max were the most enthusiastic of all. I want people to treat Max typically, aside from accommodations he needs to level the playing field. I have an issue when kids and teens with disabilities get special sports treatment. Yet Max was doing a good job, and he thrives on encouragement. It's one thing when he's at an activity for youth with special needs and staffers lavish props on him; it's another to receive recognition from people who don't know you but can see your abilities. And so, I was glad for the clapping. I also felt relieved to see Max being the center of good attention. Over the weekend, I'd watched children, teens and some adults staring at him. He doesn't yet notice. I do. Max seemed pretty nonchalant about the applause and cheering. When his team won, though, he gave high-fives all around with the biggest grin on his face. As we walked away, I could tell: His ego was bursting, right along with his belly full of chocolate and vanilla swirl. Like this: Sometimes you don't realize what your child isn't doing until he does it. 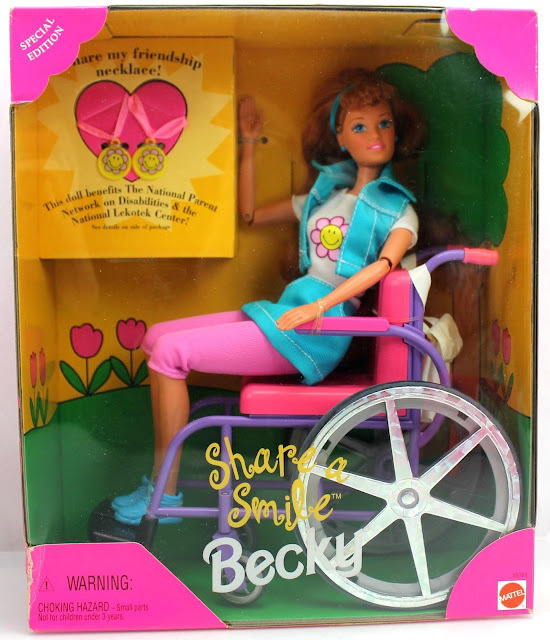 Barbie has a friend named Becky who uses a wheelchair. You won't be able to find Becky, however, at Target, toy stores or anywhere except eBay and some Amazon stores, where she sells for a pretty penny. 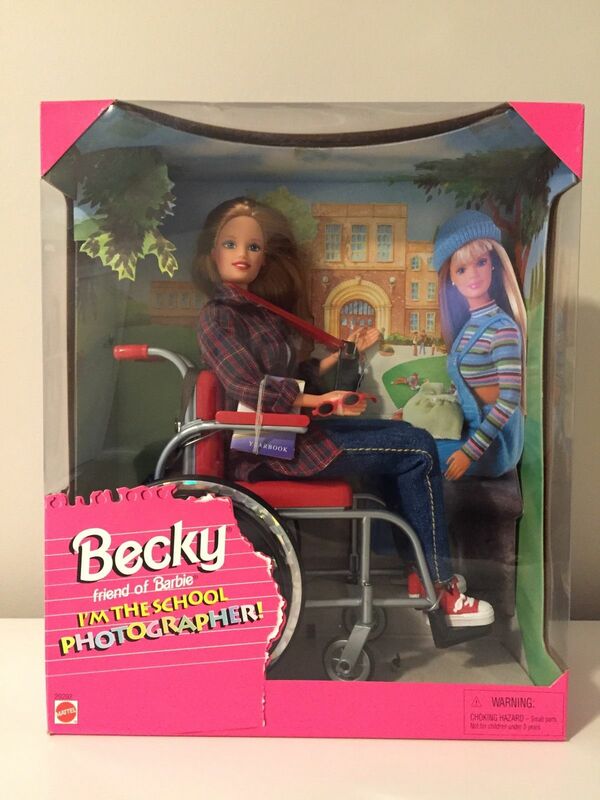 Mattel discontinued Becky and has yet to introduce another doll with disability. Barbie has friends of different races and, as of November 2016, a plus-size pal. But Barbie has no BFFs with disabilities. That's not just sad, it's a disservice to children of all abilities. I read about it this week, when my friend Paula directed me to an article on PRI. The herstory: In 1997, Mattel introduced Share a Smile Becky. It was a dippy name for a cool doll in a wheelchair. Disability advocates were psyched, and Becky sold well. But she had a housing issue: She couldn't fit through the doors of the Barbie Dream House or into the elevator, either. Becky changed personas in 1998, when Mattel morphed her into a school photographer. 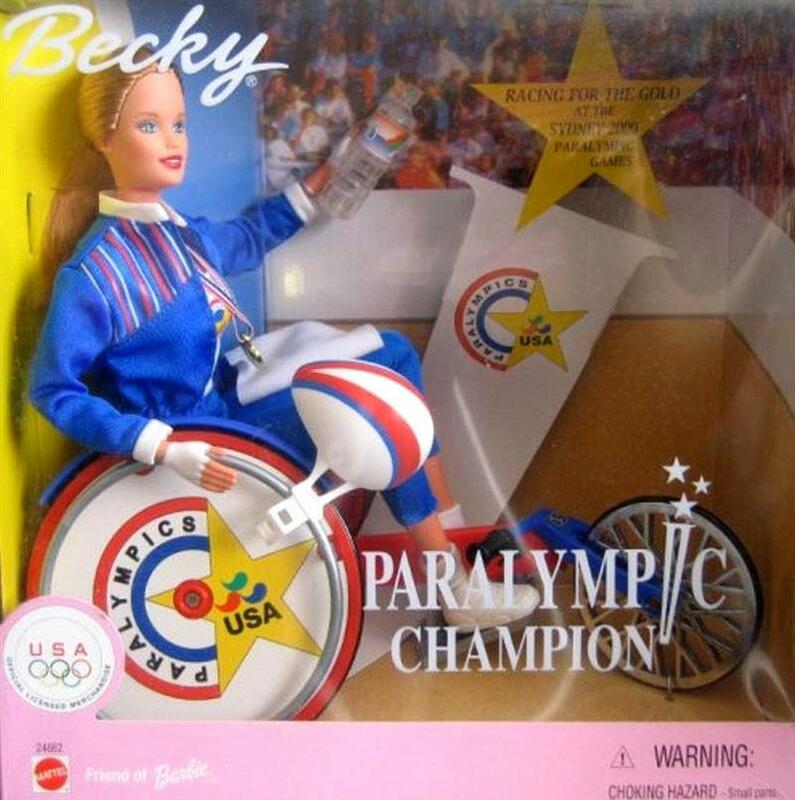 She became Paralympic Champion Becky in honor of the 2000 Sydney Paralympics. And then, she disappeared off shelves, relegated to vintage doll status. Some say it was because Mattel didn't want to redesign the Dream House to accommodate her, although I found no confirmation of that. The lack of a Barbie doll with disabilities does a disservice not just to girls in wheelchairs, who deserve to have playthings that look like them, but to all girls. As blogger Karin Hitselberger noted on Claiming Crip, "Barbie dolls matter because they often reflect the hopes and dreams of the little girls who play with them.... Becky mattered because she showed everyone that a wheelchair was nothing to be afraid of, and it didn't prevent you from having a life just like everybody else." Still, dolls and action figures with disabilities produced by mainstream companies remain a rarity. Why are only single ones being issued here and there, making them seem more like a token than true inclusion? Children are missing out. Research published in The International Journal of Diversity in Education found that interaction with ethnically diverse dolls lead to improved empathy among children, and a means of addressing bias through discussion. Dolls with disabilities help children see that peers with disabilities are an integral and typical part of life, just like people of all races. Consider the Instagram photo circulating last week of a little white girl holding her black doctor doll, the one a cashier at Target had questioned and the girl had defended. Dolls enable girls and boys to role-play real life, one way of getting comfortable with kids in wheelchairs or hearing aids. These dolls can better enable parents to have discussions with their children, raising them to be more open-minded and accepting. And of course, dolls with disabilities are vital to the children with disability who play with them. As Karin Hitselberger says, "Becky matters because I am Becky and when I was seven years old seeing a doll that looked like me was the most powerful thing in the world." You might recall that viral video last year of a girl with a prosthetic leg whose parents got her an American Girl doll customized by a prosthetics company. When 10-year-old Emma saw the doll, she cried happy tears. Finally, when she could talk, she exclaimed, "It's got a leg like me!" 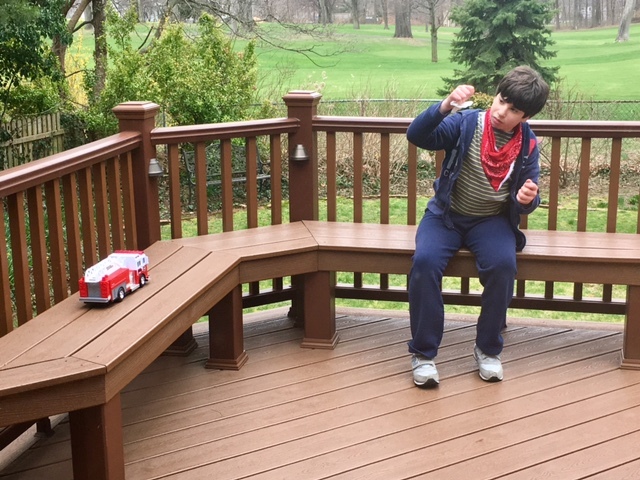 "How do other families of children with special needs have fun?" asks a mom. "When we're out things tend to feel like work, and I feel alienated from other families. I have many examples: All the kids will be in the pool or at the playground with the parents socializing, but I'll be busy assisting my 8-year-old son. Or all the other kids will be eating together at meals or at birthday parties, and he'll be sitting with me so I can assist with eating as I try to fit in conversations with adults but not exclude him. If we go to amusement parks as a family, to do a family ride we'd have to leave him with another family member, and the guilt I feel takes the 'fun' out of it. I don't mean to say we never have fun—we do!—but overall, the feelings of fear, worry and guilt always seem to get in the way. I'd like to hear how other families find the fun." This mom would appreciate your feedback; please share below. I didn't have any specific hopes for our Passover seder yesterday, or so I thought. Max has matured and I figured he'd sit at the table, as he has in recent history. Ben would be the wild card. I actually didn't have much time to ponder it because it was a bit hectic. Ben was in the middle of eating when we started reading the haggadah (which tells the story of Passover). Sabrina and Cousin Margo sang the Four Questions standing next to him. After that, Ben decided that his time would best be spent zooming around the table with his shopping cart. Max got hungry and whiny, always a bad combination, so he ate as we continued reading and singing. He has come a long way since he refused to sit at the table at all and spent the evening in the living room watching TV. Then he started sitting at the table with headphones on. He's no longer that sensitive to noise so I figured he'd hang around. Only when it came time for dinner, Max stood up and declared that he was done and could he watch TV? Off he went to celebrate the night with fire truck videos. I felt a twinge of disappointment. And then I felt a twinge of disappointment over the fact that I felt disappointed. You'd think that by now I would have accepted what will be will be. But evidently, there is still a part of me that would like to have everyone in our family around the table at the seder. My head says, "It's OK." My heart feels differently. 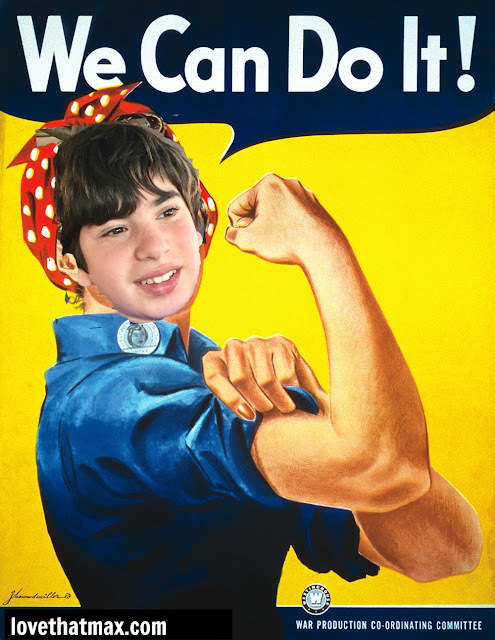 Maybe Max will be there for the whole seder today—two seders, two chances! Maybe I'll always keep wishing for it. Holidays have a way of making me yearn for tradition, even while we've done so well with creating our own. Max was hanging on the deck this weekend, messing around with Ben's toys as I did dishes. He likes to push his shopping cart. The toy wars are bound to erupt when Ben gets more possessive of his things. Suddenly, Max knocked on the glass door and gestured. He wanted a paper towel. Why, I didn't know. I opened the door, handed him one and watched as he walked over to the bench, sat down and held it to his finger. "Max, did you hurt your finger?" "Yes!" he said. I walked over and saw a small scrape that was bleeding. 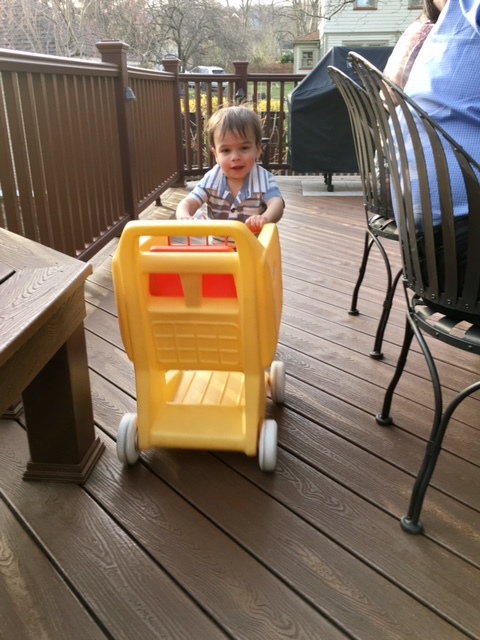 He pointed to the shopping cart. It has no sharp edges; maybe he'd wedged his finger into something. And so, I went back inside. Until that moment, it had never occurred to me that Max hadn't ever taken care of his scrapes or cuts, or even cared to do so. This happens, on occasion: Max does something for the first time, and at that moment I realize that he's never done it before. I mean everyday things, like choosing his own outfit or grabbing a banana before we head out the door for a snack. I don't have a running list in my head of things Max can't do. For one, Dave and I are used to giving him a hand. Also, we're used to Max. He is who he is, a boy as perfect and imperfect as any of us. 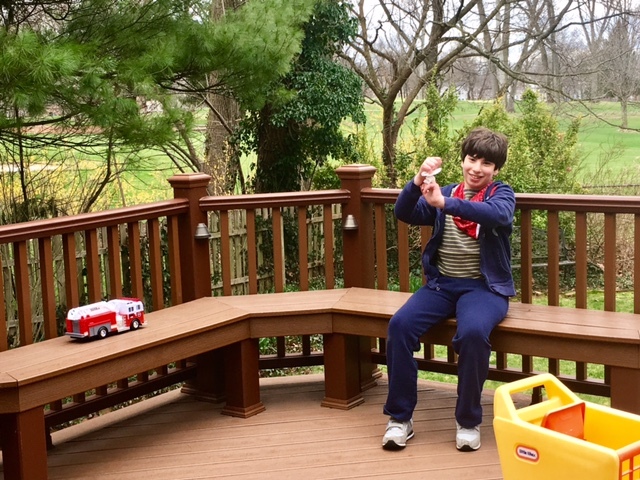 Perhaps this may be difficult for people who don't have a child with special needs to understand, but we don't notice the deficits—although we are always giddy about the progress. I kept watching Max through the deck door, fascinated by this development. He held that paper towel to his finger for a while, then he took a good look at it to see if there was still blood coming out of the cut. It was awesome to see him taking care of himself. One of the hardest parts of having a child with special needs, especially when they are young, is worrying about what they will be able to do. One of the best parts of having a child with special needs is the tremendous joy you feel as your child progresses. Even small steps forward feel big. I recently got an email informing me that April is Stress Awareness Month, which made me smirk. If you have a child with special needs—heck, if you have any children—you are aware of stress 365 days a year. For me, it's like radio frequency. Sometimes it's stronger, sometimes it's weaker, but it's always on. 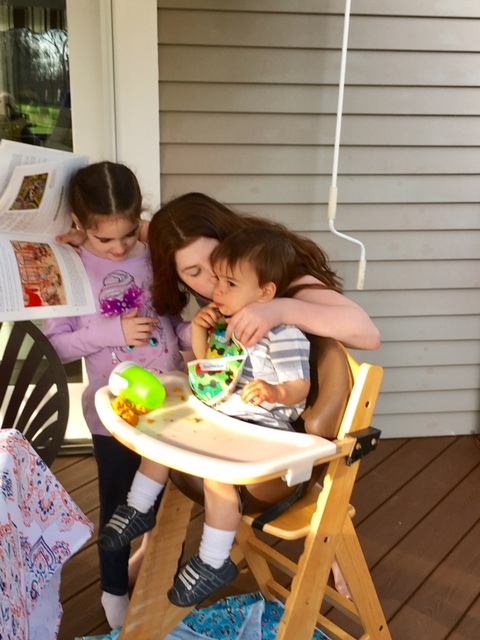 My lack of me-time is such a mom cliché, but it's a big reason I walk around so wound up. And if anyone reminds me that I need to put the oxygen mask on my face first before I can help else, I will conk them on the head with my to-do list. There are some excellent perks of this job, to be sure, and their names are Max, Sabrina and Ben. Yet they're growing up fast, which makes me aware that I'm getting older fast, which makes me think that I ought to better take care of myself. When Ben went down for a nap, I decided to put a slice of lemon in a cup of ice water. 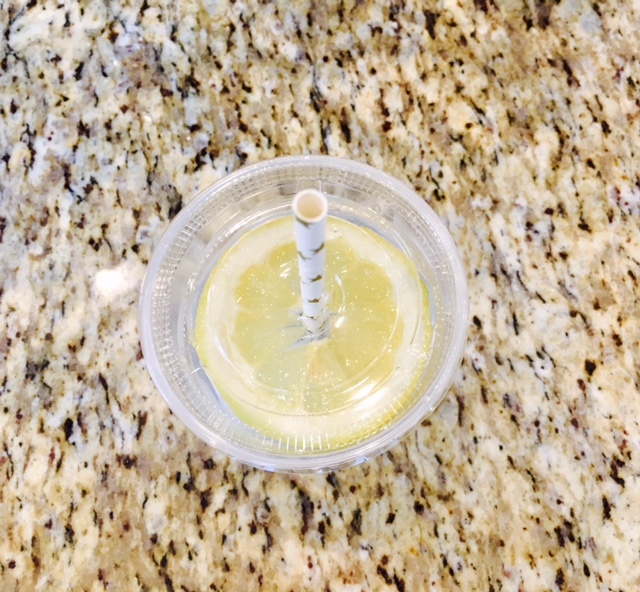 I slid a fancy paper straw through the hole in the center and admired my handiwork. Purty! I sat at the kitchen table. I sipped. And wow, it felt good. I'd done something just for me. Not a treat—ice water doesn't exactly qualify—but a slice of encouragement to slow down and enjoy. I don't always have to be that person standing and chugging water out of a bottle (or more often, that person who neglects to drink enough). I may not have time to regularly get to the gym or get regular mani-pedis, but I sure can drop a slice of lemon in my ice water. 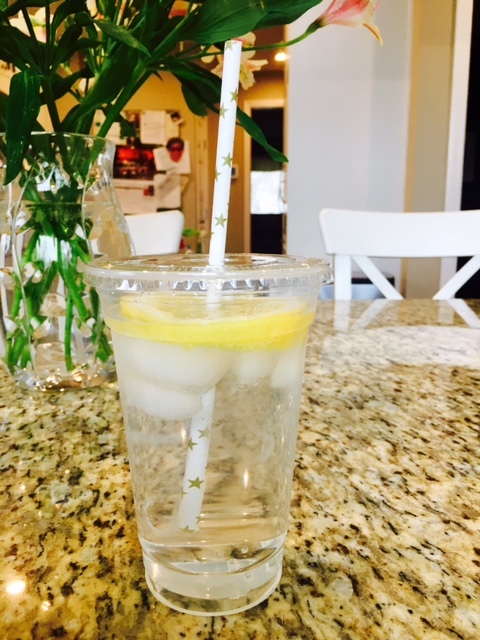 My days aren't exactly zen now, except I've been sipping lemon water through a fancy straw and it makes me feel good. Today, a lemon slice. Tomorrow, maybe I'll slather on some hand lotion. Baby steps, people. Happy Stress Awareness Month! Celebrate! 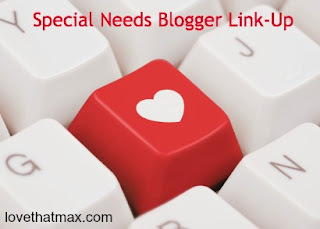 Group therapy: Would you let your son with special needs go to a dance with this girl? It's that time of year when we're going to start seeing those viral videos in our Facebook feeds of the girl/boy with Down syndrome crowned prom king and queen. I have a son with disabilities. I just heard from a teacher at his school that a "sweet" girl in his grade would like to ask him to the middle school formal, and that she would like the teacher to record him asking her. The teacher thinks it's amazing. 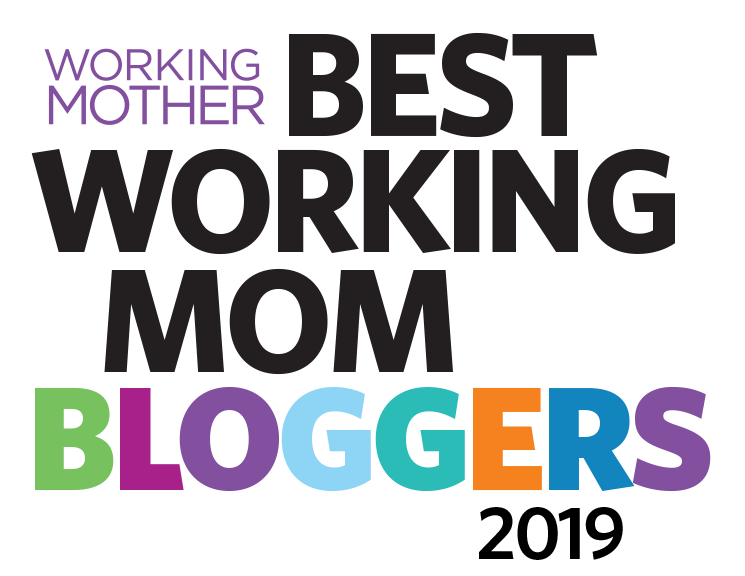 I truly am interested in other mom's opinions because I know I can be kind of cynical. My son is a great, well-liked kid who doesn't need community service or to be the star in a viral video. He doesn't even know this girl. When we talked about the dance, which he wants to go to, I asked, "Do you want to go with a girl or your friends?" He said, "My friends." I said, "Well, what if a girl asked you?" and he said "I'd say 'yes'" but he's likely forgotten all about this. 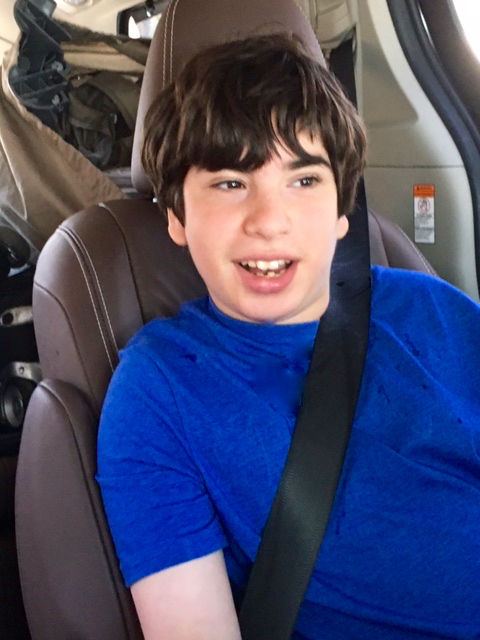 He loves going to school dances and wearing a tie, and he'll have an amazing time regardless. However, since I've never heard from this girl as someone who might like to connect with him outside of school, I just have to wonder about the motive and whether it's more self-serving "I'm doing a good deed and including the kid who stereotypically doesn't get included." Although I like the thought of him going to the dance like a "typical" kid, he's still going to need help. When he went to a dance earlier this year, so did others in his class and so the teachers and helpers were there to handle bathroom needs and helping him buy snacks. I'm not sure who would do that if he's just with this girl (I've reached out to the teacher). Still, my point is that he will need help whether or not he goes with this girl so in the end, I don't think he'd gain any extra independence going with her. I am leaning towards responding no and saying that my son will save a dance for her but prefers to meet up with friends—except I'm just not sure. This mom would appreciate your thoughts—weigh in below! 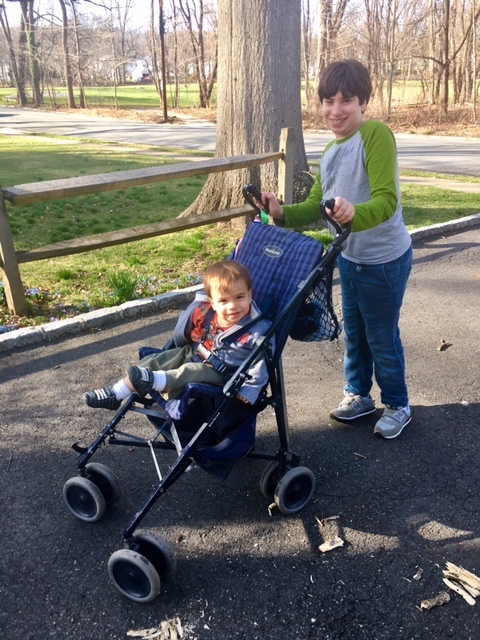 Max took the baby for a walk in his old adaptive stroller yesterday, the one he often likes to wheel empty around our neighborhood. Every single time I see him wheeling Ben, a part of me feels healed, although I didn't realize I still needed that. The Maclaren adaptive stroller came from Max's Early Intervention physical therapist, who got it from another family she'd worked with. By the time Max aged out of EI he was walking. But she told us that he would likely get tired when he had to walk long distances, because of the CP. That's true, and over the years we've used it for day trips. When we go to theme parks these days, Max typically ends up in a wheelchair after a few hours. He walks well, but fatigues easily; his muscles work hard, especially since they're working through a fair amount of tightness. Seeing Max with Ben in that stroller brings me back to the days when he was in EI, and makes me acknowledge how far Max has come—he's walking, he's pushing and maneuvering a stroller, he is owning it. 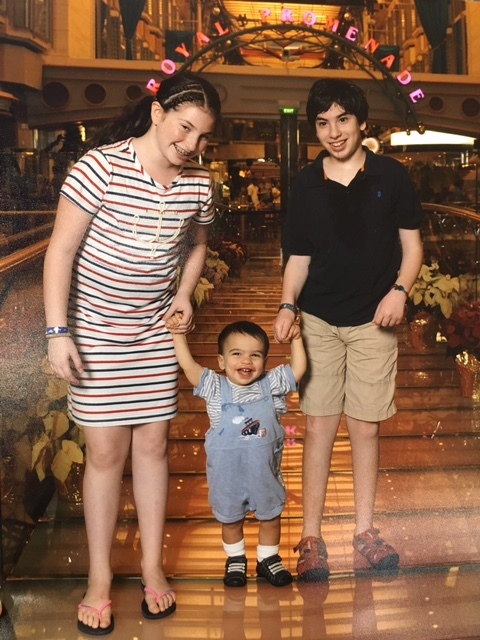 It fills me with gratitude, for the progress and for the fact that Ben has such a loving, sweet brother (who really wants to take him to Disney World and/or SeaWorld). It makes me feel really, really lucky.